Palo Alto continues its reign as California's premiere solar city | West Coast Solar, Inc.
Palo Alto is known as a hub for technological innovation and excellence. 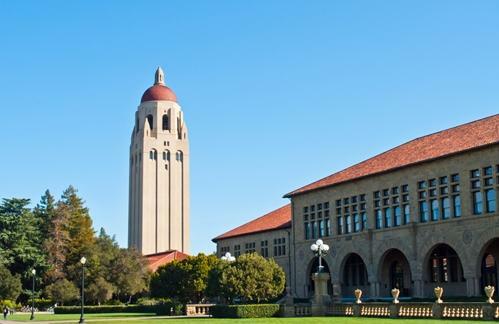 Sitting right in the middle of Silicon Valley, it’s the home of many tech companies and venture capitalists, as well as one of the best colleges in the world, Stanford University. It’s also a spectacular place to live, with safe communities that provide a superb environment for raising children and leading healthy lives. So it’s not surprise that Palo Alto is also joining cities like Lancaster and Sebastopol as leaders in California solar energy. GreenTech Media, a clean technology website, provides an overview of the statistics that back up this point. Palo Alto’s municipal utility has approved power purchase agreements (PPA) totaling 80 megawatts (MW) in solar generating capacity, enough to meet 18 percent of the city’s electricity demands and virtually all of the power needs of Palo Alto’s population of 65,000. These numbers indicate that the city is well on its way toward meeting a self-imposed goal of being carbon neutral by 2017. Considering that California as a whole has a law requiring that it derive 33 percent of its energy from renewable sources by 2020, this is a profound achievement for Palo Alto as it leads the state toward a cleaner, more economically vibrant future. Hopefully, other communities will follow the Northern California city’s example by encouraging more residents to adopt solar energy, which can help reduce pollution while providing a stable electricity source that lowers costs. Contact West Coast Solar for more information on how your home or business can benefit from this extraordinary technology.